Select from a number of designs. Customize with your photo, contact information, logo and more. Add business hours or a special message to the back of the business card for additional impact. 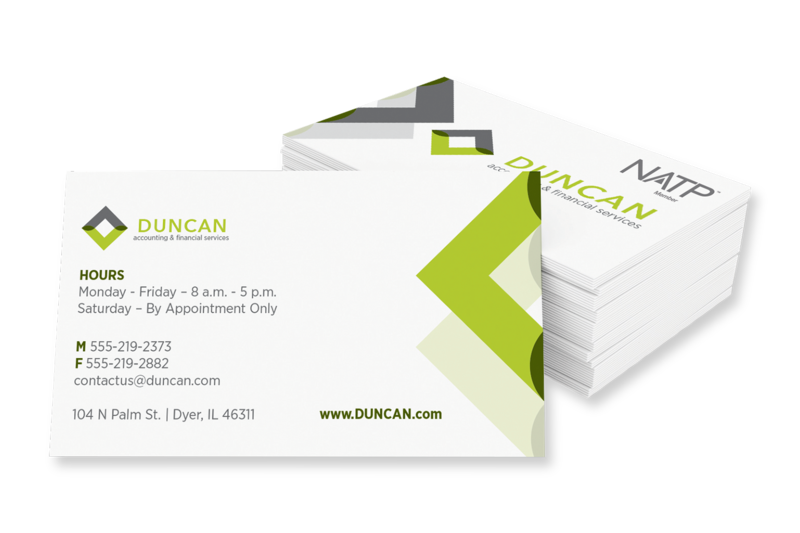 White card with full color imprint. 16 pt. white card stock.